Computer-Aided Engineering (CAE) software, also referred to as simulation software, supports engineering analysis tasks. CAE software encompass finite element analysis (FEA), computational fluid dynamics (CFD), multibody dynamics (MDB), and optimization capabilities. CAE software enables users to simulate, validate, and optimize products and manufacturing tools. Some CAE products allow users to model discrete events, while others can model continuous events. Some CAE products are hybrid simulators that can model both continuous and discrete events. CAE products are used for both academic and industrial applications across a variety of industries such as communications and agriculture. Many CAE products offer a wide range of functionality in the form of all-purpose multiphysics platforms that can be applied to a diverse range of use cases. Some fit-for-purpose CAE systems provide more limited functionality in a single area such as for modeling network or mechanical structures. CAE products is frequently implemented with other CAx applications, such as Computer-Aided Design (CAD) and Computer-Aided Manufacturing (CAM) software, to support an organization’s product lifecycle management (PLM). Computer-Aided Engineering (CAE) reviews by real, verified users. Find unbiased ratings on user satisfaction, features, and price based on the most reviews available anywhere. SimScale is a leading cloud-based CAE platform that provides access to CFD, FEA, and Thermodynamics simulation capabilities 100% via a standard web browser. No hardware or licenses required. Try the free plan or the 14-day trial for the Professional account at https://www.simscale.com/product/pricing/. 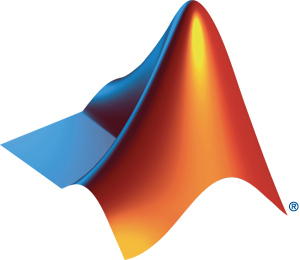 Scilab is a free open-source software for numerical computation and simulation similar to Matlab/Simulink. Simio is an object-oriented discrete event and agent based simulation software developed by Simio LLC. NetSim is a network simulation software for defense applications, network design validation and network research and development. SageMath is a system for algebra and geometry experimentation via Python. AnyLogic is the standard in multimethod modeling technology, delivering increased efficiency and less risk when tackling complex business challenges. The unmatched flexibility found in AnyLogic allows users to capture the complexity of virtually any system, at any level of detail, and gain a deeper insight into the interdependent processes inside and around an organization. Enterprise Architect is a visual platform for designing and constructing software systems, for business process modeling, and for more generalized modeling purposes. Enterprise Architect is based on the latest UML® 2.5 specification. UML defines a visual language that is used to model a particular domain or system (either proposed or existing). Enterprise Architect is a progressive tool that covers all aspects of the development cycle, providing full traceability from the initial design phase through to deployment, maintenance, testing and change control. ExtendSim is a simulation software for discrete event, continuous, discrete rate and agent-based simulation. 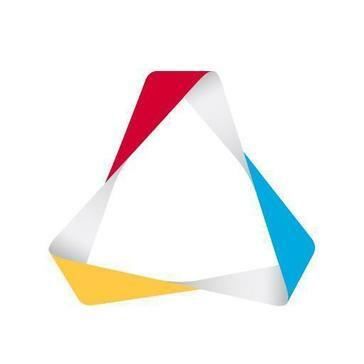 Freemat is a free environment for rapid engineering, scientific prototyping and data processing using the same language as Matlab and GNU Octave. Lanner WITNESS is a discrete event simulation platform for modelling processes and experimentation. Maple is a general-purpose computer algebra system developed and sold commercially by Waterloo Maple Inc.
NI Multisim is an electronic schematic capture and simulation program. OpenFOAM is an open-source software used for computational fluid dynamics (or CFD). SIMUL8 is a software for discrete event or process based simulation. Automation Studio is a fluid power, electrical and control systems design and simulation software developed by Famic Technologies Inc.
DX Studio is a suite of tools for simulation and visualization. Flexsim is a discrete event simulation software. GoldSim is a simulation software for system dynamics and discrete event simulation, embedded in a Monte Carlo framework. Khimera is a chemical kinetics simulation software tool developed by Kintech Lab. MapleSim is a multi-domain modeling and simulation tool developed by Waterloo Maple Inc.
ModelCenter is a framework for integration of third-party modeling and simulation tools/scripts, workflow automation, and multidisciplinary design analysis and optimization from Phoenix Integration. 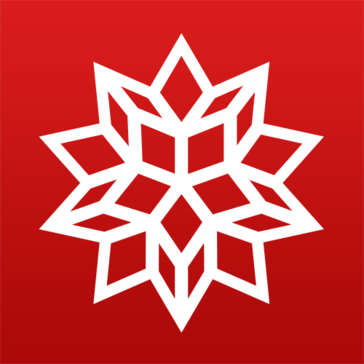 Modelica is an open standard for modeling software. ns-3 is an open-source network simulator. OpenEaagles is a multi-platform simulation framework to prototype and build simulation applications. OpenSim is an open-source software system for biomechanical modeling. PRO/II is a software for steady state chemical process simulation and extensively used by oil and gas refineries. Plant Simulation is a plant, line and process simulation and optimization software. VisSim is a system simulation and optional C-code generation of electrical, process, control, bio-medical, mechanical and UML State chart systems. Actran is a finite element-based simulation software to analyze the acoustic behavior of mechanical systems and parts. Advanced Simulation Library (ASL) is an open-source hardware accelerated multiphysics simulation software. Easily simulate mechanical product aspects with electrical aspects (in 0D, 1D, and 3D) and leverage automatic code-generation for embedded systems - in harmony with Altair's broad and deep portfolio of CAE simulation products and IoT solutions. AMESim is a platform to analyze multi-domain, intelligent systems and predict and optimize multi-disciplinary performance. Hi there! Can I help you find the best Computer-Aided Engineering (CAE) solutions?